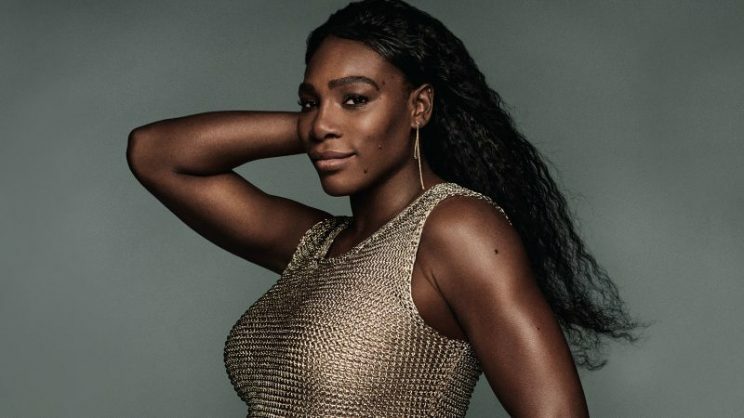 Serena Williams' photo in the latest issue of Vogue. Photo: Mario Testino/Vogue. “I read several articles that said postpartum emotions can last up to three years if not dealt with,” Williams said on Monday. Williams’ disclosure comes a week after she suffered the worst loss of her career in San Jose, losing the final 12 games in a shocking 6-1, 6-0 first-round upset to unseeded Johanna Konta. On Monday, she described her mindset at the time as being in a “funk”. “Last week was not easy for me. Not only was I accepting some tough personal stuff, but I just was in a funk. Mostly, I felt like I was not a good mom,” Williams wrote on her social media Instagram account. “Talking things through with my mom, my sisters, my friends let me know that my feelings are totally normal. It’s totally normal to feel like I’m not doing enough for my baby …. Whether stay-at-home or working, finding that balance with kids is a true art,” she said. Organizers announced on Saturday that Williams was withdrawing from this week’s WTA Montreal tournament citing “personal reasons”. Williams battled back from life-saving surgery after giving birth to daughter Olympia in September, reaching the final at Wimbledon, where she was beaten by Germany’s Angelique Kerber. Meanwhile, in first round matches on Monday, Serena’s older sister Venus rallied from an early break down to ease into the second round by defeating world number 124 Caroline Dolehide 7-5, 6-1. “I think maybe she had more of an advantage because she’s probably seen me play more than I’ve played her. It was pretty close in the first set,” the 38-year-old Venus said. Venus used her experience to wrestle control of the match as she hit 12 winners and made 16 unforced errors. Dolehide tried to make the most of her baseline game but she racked up 25 unforced errors to 11 winners, and lost her serve four times. Venus next faces the winner of an all-Romanian encounter between qualifier Monica Niculescu and 2013 tournament runner-up Sorana Cirstea. In this combination of file photographs created on June 3, 2018, Russia’s Maria Sharapova (L) plays a forehand return to Netherland’s Richel Hogenkamp during their women’s singles first round match on day three of The Roland Garros 2018 French Open tennis tournament in Paris May 29, 2018 and (R) Serena Williams of the US plays a backhand return to Germany’s Julia Goerges during their women’s singles third round match on day seven of The Roland Garros 2018 French Open tennis tournament in Paris on June 2, 2018. 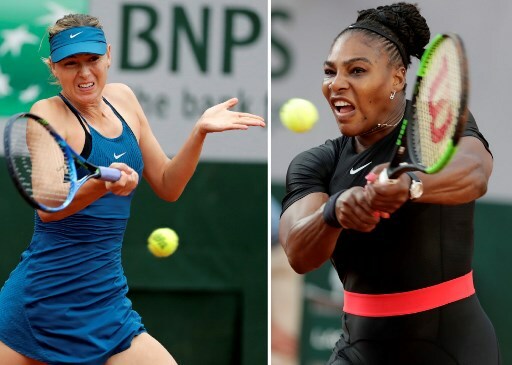 Serena Williams and Maria Sharapova will renew their bitter 14-year rivalry in the French Open last 16 on June 4, 2018, with the American dominating their record 19-2. Picture: AFP Photo / Thomas Samson. Maria Sharapova and Sesil Karatantcheva, of Bulgaria, renewed their teenage rivalry but were only able to complete the first five games before the rains hit. Russia’s Sharapova has a 4-1 lead in the match which will resume on Tuesday. The pair played their first three career matches as teenagers, including a fiery affair on the outer courts at the 2004 Indian Wells tournament when Karatantcheva was 15. Tuesday’s contest under the Court Central lights will be their first in over eight years. Because of the rain, their match was one of several that will be added to an already busy Tuesday calendar.